The GL704GM carries the same CPU and GPU as the last generation GL703GM. So, what makes this new iteration so special? For one, it carries the narrowest bezels for a 17-inch gaming laptop at just over 7 mm on all three sides. The design will become a standard that future laptops will want to beat. The ROG Strix Scar II packs a gorgeous 17-inch panel, strong performance and a comfortable keyboard into a dazzling design. 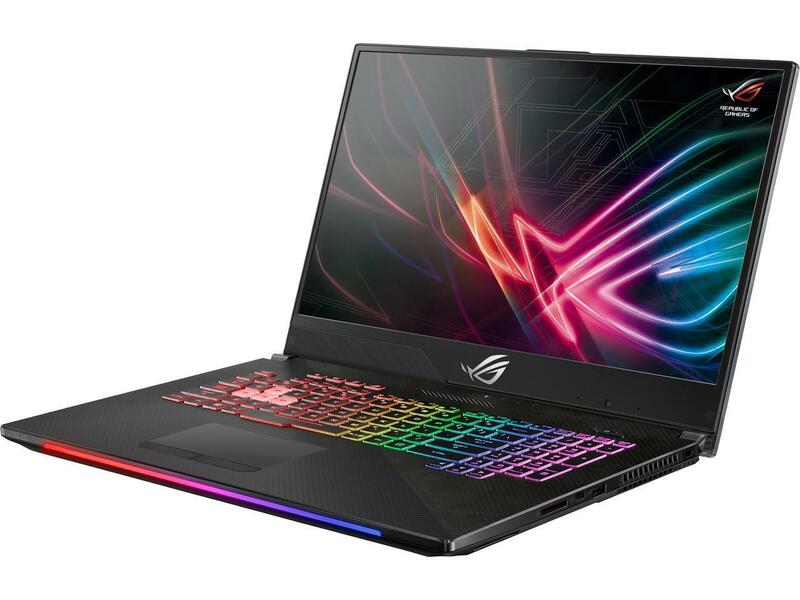 So when you look at the whole package, all in all the Asus ROG Strix GL504GM Scar II is an excellent mid-range gaming laptop and it should serve you well, but you have to accept that you will pay a premium in most regions for the more compact form factor, the 144 Hz screen, the bigger battery and the pretty much flawless overall performance. Just make sure to buy your unit from a store that allows easy returns in case you end up drawing the short stick, as Asus’s quality control hasn’t been that great in recent years.